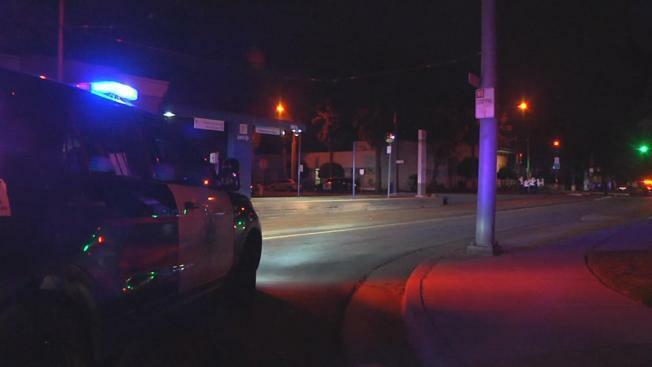 A man was struck and killed by a vehicle near a VTA light rail station in San Jose on Thursday night, according to San Jose police. The accident occurred about 7:50 p.m. at North First and East Empire streets, near the Japantown/Ayer station, bringing trains and traffic to a halt and closing down the street as police investigated. VTA said its train operator noticed a man lying on the sidewalk and called it in to VTA officials, who then called police. Police said they were searching for the driver, who was not at the scene. They were not sure whether the driver knew they hit someone or if they drove off, intentionally leaving the scene. "I know people drive by here pretty fast," neighbor Allison Ahola said, but such an accident isn't "something I would expect to come home to." Investigators were going through VTA train surveillance video and other video to figure out how the accident happened. The victim's identity was not released pending the notification of next of kin, police said. During a nearly three-hour delay, trains were being turned around at the Convention Center and Civic Center stations, and VTA launched a bus bridge. Service was restored about 10:45 p.m.